For decades, Timberland has manufactured footwear with hardworking individuals in mind. Multiple options exist with varying degrees of protection. 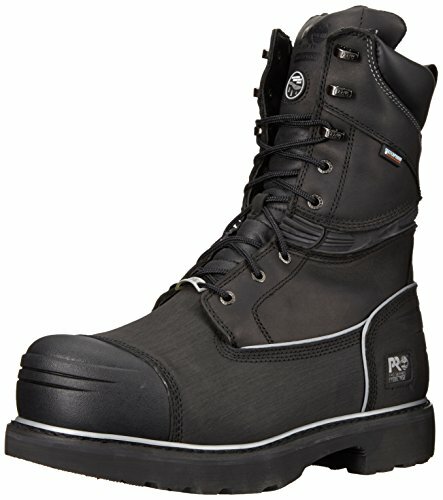 Depending on your profession, you may need steel, alloy, or composite-toe work boots. You may also require additional features such as waterproofing, shock-absorption and traction. 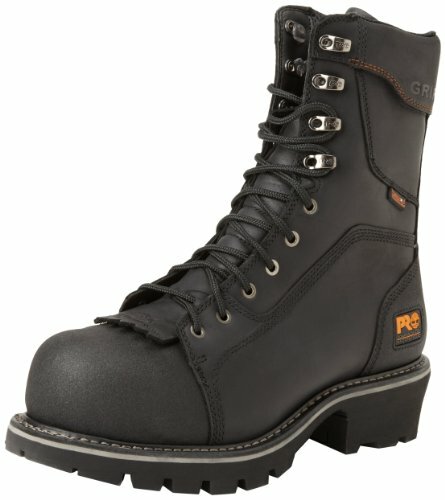 Use this guide and many others on consumerexpert.org, to help you find the best work boots. 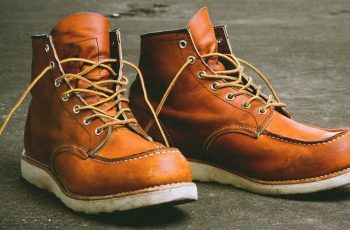 Here, you’ll find the top Timberland work boots available, as well as reviews and recommendations for various occupations. Launched in 1999 as part of Timberland’s PRO Series, the Rip Saw Logger work boot features a puncture-resistant sole and composite toe box. Designed for laborers who work on uneven surfaces, they provide superior protection and traction. You’ll step into warmth and style with these waterproof boots. The leather, waterproof upper prevents liquids from seeping into the footwear, while a protective interior keeps feet dry. They come equipped with an anti-fatigue comfort system and provide all-day support. However, the boots make feet appear larger than they are. Another model from the Timberland Pro Series, Powertrain Shoes not only stand up in harsh environments, but also stand out with style. Packed with high-tech features, they keep feet safe and comfortable. The Powertrain shoe is ideal for assembly line workers, cashiers, and other professionals who stand in one place for hours. Resilient outsoles help prevent fatigue. Notable features include an alloy toe-cap, rip-stop nylon upper, and cushioned tongue. These stylish shoes offer maximum flexibility and adjust quickly to foot’s shape. Aside from this, the boots may not be suitable for wide feet. Thanks to superior construction, the Barstow Wedge work boots are perfect for long workdays. Goodyear welting ensures the soles remain intact and last beyond normal wear and tear. They swaddle your feet in supreme comfort, offering maximum support for workers who perform carpentry and landscaping duties. Each boot features padded collars to prevent them from rubbing against the skin. The work boots feature a moc-toe and low rubber outsole, giving you stylish comfort. A dual-density, shock-absorbing layer makes them perfect for 16-hour days. The Resistor is the original classic work boot that gets better with age. Each improvement over the years results in a stronger, more comfortable work boot. 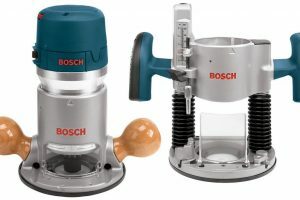 A direct-attached welted system, waterproof upper and 200 grams of insulation offer years of use. 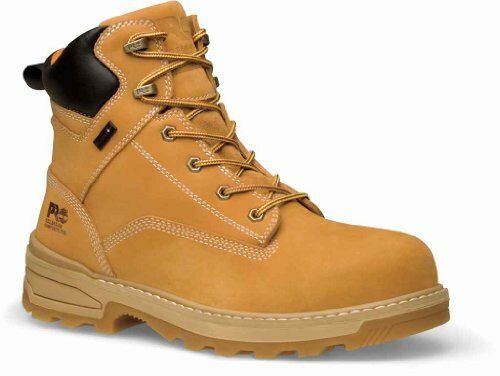 With a shock-diffusion plate to distribute weight evenly, these work boots are ideal for individuals who work with heavy loads and on hard terrain. Furthermore, the Resistor can withstand 75 pounds of impact, 2500 pounds of compression, and safeguard against electric shocks. Although the boots have a tri-density outsole/midsole, the insole is composed of a single layer. 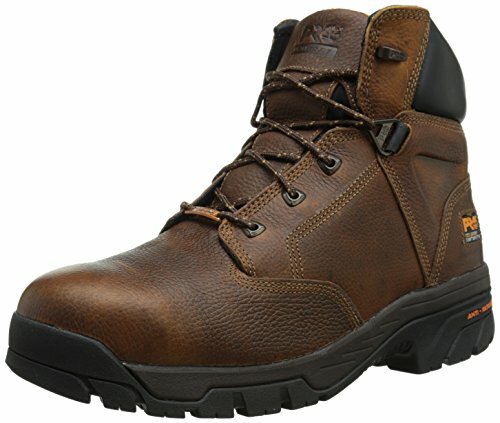 Like other work boots in the PRO series, the Helix features Timberlands’ patented Anti-Fatigue Technology. One of the benefits of owning a pair of these waterproof boots is the locking system that keeps your heels in place. These boots have exceptional softness and bounce. The rubber outsole offers a range of protections against areas prone to heat, oils, and spills. Another key feature is the boots’ slanted collar, which prevents thems from digging into the ankles while kneeling. On the other hand, the same position causes the front of the shoes to bend, adding pressure to the toes. 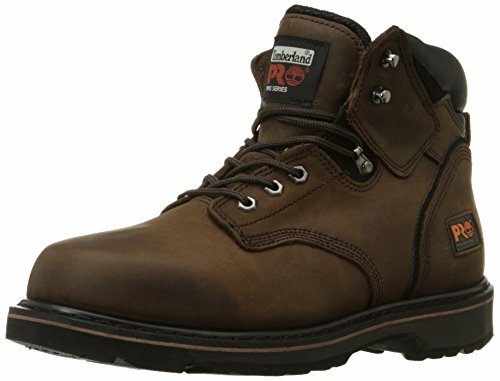 This 10-inch work boot is as stylish as it is functional. 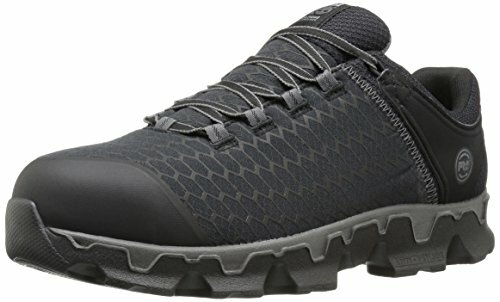 Built for extreme conditions and rugged environments, they contain PowerFit technology, which offers a personalized fit, ergonomic comfort, odor protection, and improved stability. A puncture-resistant rubber outsole helps you get the job done comfortably. With a steel toe and metatarsal protection, you will feel at ease standing on concrete or mining in a quarry. An aggressive tread pattern offers resistance to oils, abrasions, and electrical hazards. That said, it takes a while to break-in these babies. 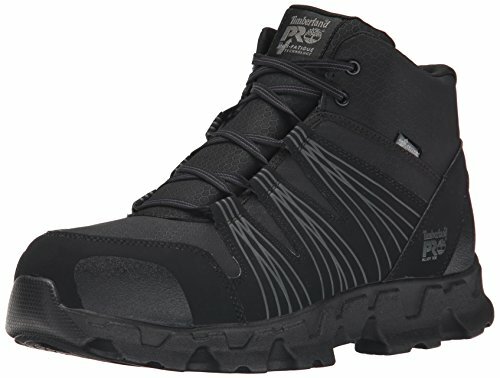 At first glance, the Powertrain Mid Alloy-Toe ESD footwear looks like a pair of fashionable, athletic shoes. 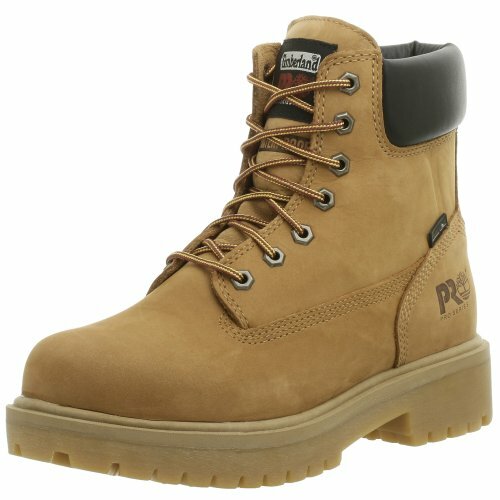 Still, these stylish work boots will keep you safe while working in highly charged electrical environments. 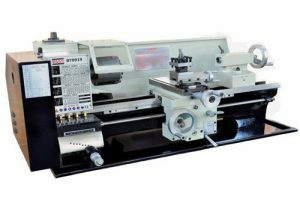 They make an excellent option for electricians and other industrial professionals. The footwear has a conductive polyurethane static dissipating midsole. With an anti-fatigue outsole, you’ll keep a spring in your step. Cement construction means less break-in time, and ghillie-style lacing system ensures a custom fit. Still, these boots have a limited lifespan. Because they provide exceptional comfort, you will want to replace them with another pair, as soon as possible. 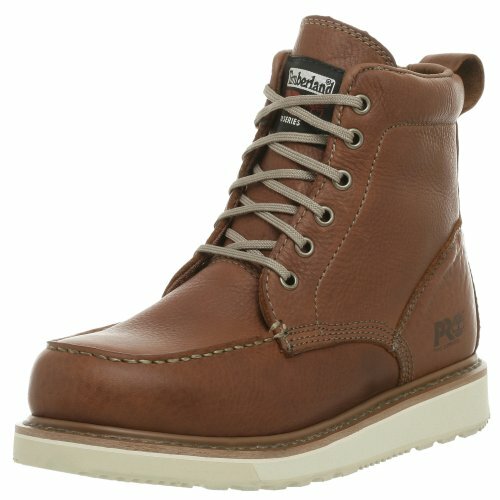 Top-selling Timberland Basic Boots combine durability and functionality with style. They have seam-sealed construction and thick soles, allowing a full range of motion. Hexagonal eyelets and a smooth leather collar look snazzy against the Nubuck hide. The boots contain 400 grams of PrimaLoft insulation and retain warmth and remain dry when exposed to cold elements and liquid. Padded collars prevent chafing, and a durable insole protects the pressure points. In contrast, the boots tend to run a half-size too large. These classic, all-purpose work boots provide all-day comfort. 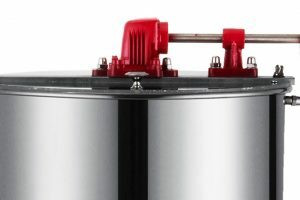 With a direct-attach welted system and a shock diffusion plate, they can endure harsh weather and work environments. 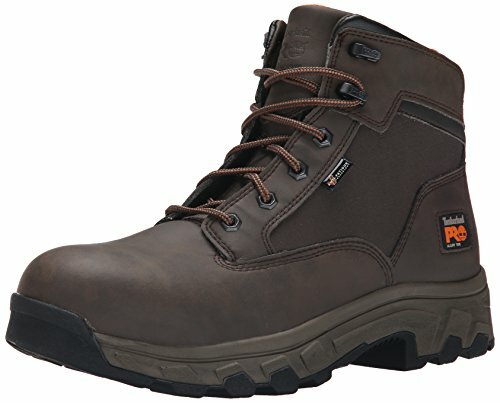 Whether your job involves climbing, standing, or bending, these work boots perform well under pressure. The lightweight, soft-toe boots offer the same features as other iconic models: durability, comfort, insulation, and protection. However, this model outperforms in the area of flexibility. They fit true to size and are available in wide and medium. When it comes to durability, the Pit Boss far exceeds the others. A thick leather upper, Goodyear welt construction and a hard, rugged outsole ensure this pair’s longevity. With an open-cell polyurethane footbed, padded collar, and spacious toe box, the Pit Boss offers comfort with every step. 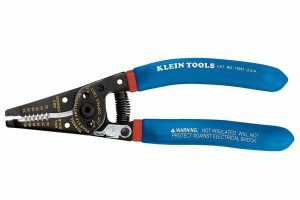 They are ideal for individuals who work with masonry. The boots are extremely heavy. But weightiness should be expected with boots of this quality. This terrain-biting, ankle boot features a rubber wedge outsole to relieve pressure while standing. The lightweight shoe has moc-toe stitching an EVA midsole for additional comfort. An integrated heel loop makes them easy to slip on and the lace-up closure provides a secure fit. The flat sole is perfect for ironworkers and laborers who need to make sure they have solid footing. The Linden Alloy-Toe work boot offers extreme superior protection and fit. The alloy toe-cap safeguards toes from rolling and falling objects. 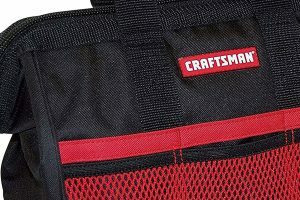 They feature Premium Raptek microfiber and a mesh lining, which provide breathability and odor control on hot days. Anti-fatigue technology, a fiberglass shank, and a cushiony insole provide comfort and support. The thermoplastic urethane outsole meets safety standards for impact and compression. as well as heat and electrical hazards. 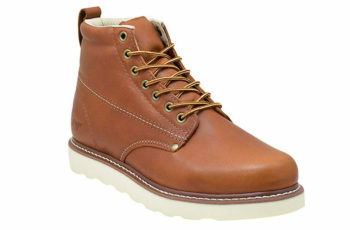 You will feel confident wearing a pair of Timberland work boots. No matter what your occupation, you will find footwear to support your feet and keep them from harm. When narrowing your choices, go beyond the exterior looks and compare the insoles and outsoles. Other features to look for include anti-microbial linings for odor protection, and safety ratings for abrasions, oil, and electrical risks. 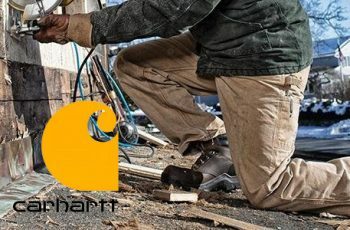 We list all the best Carhartt boots that you can buy online and give them all our own little mini review. 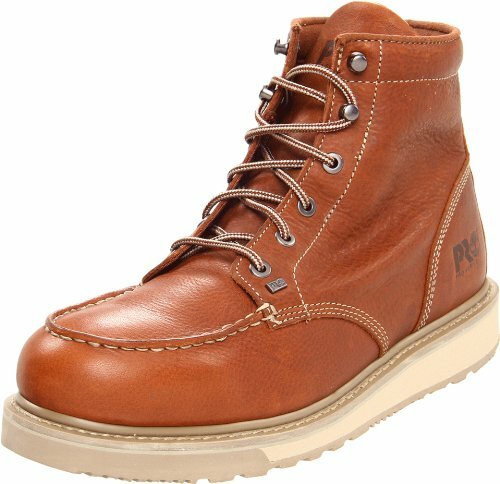 A list of the best Golden Fox work boots. A look at the best ways to break in new work boots.